Cartoon Network releases Teen Titans GO Figure! Teen Titans GO Figure! is a new Android release based on the hit animated Cartoon Network series Teen Titans GO!, but it's also the sequel to the hit mobile game Teeny Titans. The original title was all about collecting your favorite DC Comics characters, and so is this sequel. To be exact, Teen Titans GO Figure! (or is it "Teen Titans GO! Figure," even Cartoon Network seems unsure) contains over 100 collectible heroes, including fan favorites such as Batman, Superman, Wonder Woman, Flash, and the Radical Titans. This time around someone is trying to put the Teeny Titans out of business, so you better get ready to battle your way to the bottom of this mystery. 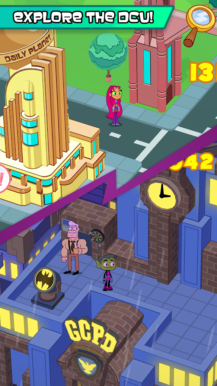 Your job is to explore Metropolis, Gotham, and Jump City as you shop for your favorite collectible superhero figures and complete special missions. The gameplay remains largely the same as the original. Battles are your standard 3v3 affair. You can tap on each of your three heroes to switch them on the fly, and this will actually be the key to your success by learning when to swap each character so that you can use the best moves at the right moments. Imagine a dumbed down version of Pokémon with fewer controls, and you kind of get the picture. You can pick up Teen Titans GO Figure! for the upfront price of $3.99, but unlike the original Teeny Titans mobile release, there are also in-app purchases included that range from $0.99 - $9.99 per item. A developer of the game has commented on these IAPs on reddit, and it sounds like they are mainly used for cheats to advance faster, and are purely optional. Supposedly everything can be unlocked through normal gameplay. Fans of collection games and the Teen Titans GO! animated series are definitely going to get a kick out of this release, and heck, even I can see the draw of such an adorable game that also contains solid gameplay. IAPs making an appearance is a little disheartening to see, but at least they don't appear to be all that intrusive. Teen Titans GO! sounds like another winner in my book, especially in our current laissez-faire mobile marketplace. 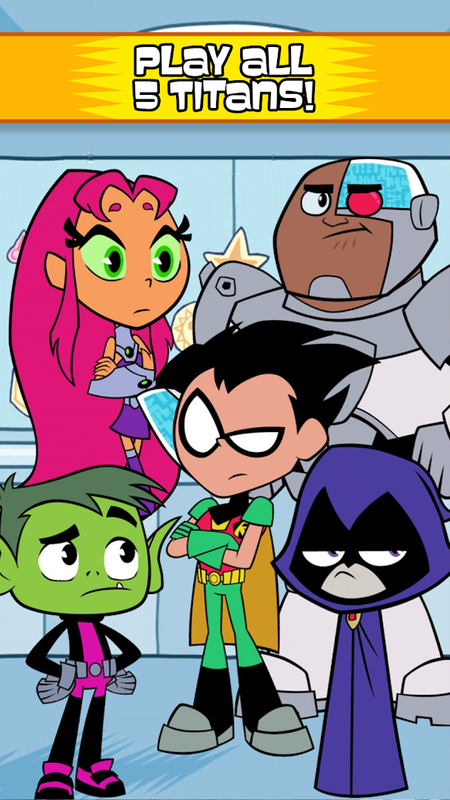 ATLANTA – July 19, 2018 – Cartoon Network has released Teen Titans GO Figure!, available today on iOS and Android smartphones and tablets for $3.99 via the App Store, Google Play and the Amazon Appstore. A sequel to the best-selling mobile game Teeny Titans, and based on Teen Titans Go!, Cartoon Network’s hit animated series from DC and Warner Bros. Animation, this new action-adventure game is inspired by the Warner Bros. Animation feature film “Teen Titans GO! to the Movies,” arriving in theaters on July 27, 2018. Owners of the original Teeny Titans will receive a special Hooded Hood figure in Teen Titans GO Figure! for free. 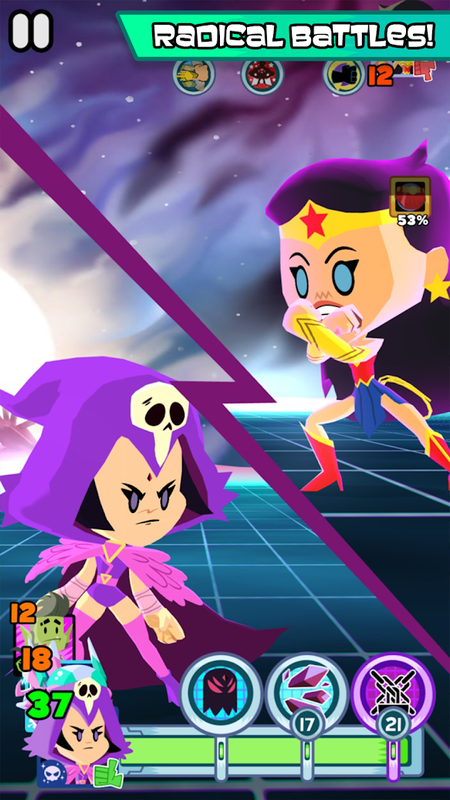 Players who beat Teeny Titans will unlock an additional bonus figure in game, as well! Fans can also download a special edition Teen Titans Go Figure! digital comic book from DC here. Combining the adorable 3D stylized figures, action-packed battle system and exciting shopping simulation of the original in a new adventure, Teen Titans GO Figure! features DC universe’s greatest Super Heroes and Super-Villains. Someone’s trying to put the Teeny Titans Figure Company out of business and all signs point to… the Justice League?! Play as Robin, Raven, Cyborg, Starfire or Beast Boy, and journey across iconic locations like Metropolis, the Hall of Justice, Gotham City, Wayne Manor, the Batcave, Arkham Asylum and the orbiting Justice League Watchtower to solve this larger-than-life mystery. Teen Titans GO Figure! features nearly 100 exciting figures to battle and level up. Collect fan-favorites like Superman, Batman, Wonder Woman, The Flash, Green Lantern, Black Lightning, Swamp Thing, Shazam and more, each customizable with new paints, abilities and accessories. You’ll meet up with tons of iconic DC characters along the way, including Supergirl, Hawkgirl, Commissioner Gordon, Martian Manhunter, Space Cabbie, Rainbow Raider, Booster Gold, Condiment King and more. Teen Titans GO Figure! is rated E10+ (Everyone 10+) by the ESRB and licensed by Warner Bros. Interactive Entertainment on behalf of DC Entertainment.